Her heart was fragile from too much pain -- would her defenses push Ross away? Ross felt panicked. His words had hurt her. It surprised him, given the way she handled the harsh circumstances of her life. First her mother's death. Then her father's. Then losing the land. Was his compassion for the vulnerable young woman turning to love? And if it was love, what would he do now? "Please, God," he prayed. "Help me. Show me." 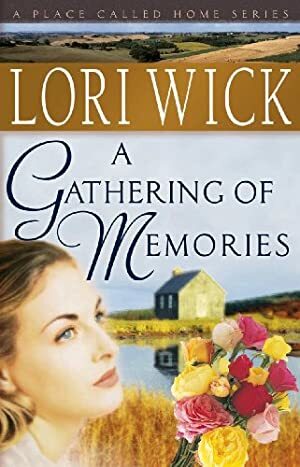 A poignant tale about love fulfilled, A Gathering of Memories will capture the hearts and minds of romantics everywhere. We started tracking this book on June 24, 2011. This book was $8.74 when we started tracking it. The price of this book has changed 56 times in the past 2,862 days. The current price of this book is $9.59 last checked 18 hours ago. The lowest price to date was $0.99 last reached on November 14, 2013. The highest price to date was $11.99 last reached on December 11, 2017. We last verified the price of this book about 18 hours ago. At that time, the price was $9.59. This price is subject to change. The price displayed on the Amazon.com website at the time of purchase is the price you will pay for this book. Please confirm the price before making any purchases.